One of the things that I love about Purex (in addition to the super low price) is the fact that they now offer so many types of laundry detergent. Whether you like scented or non-scented, hypoallergenic or regular, you can choose from many types of Purex products to fit your needs. 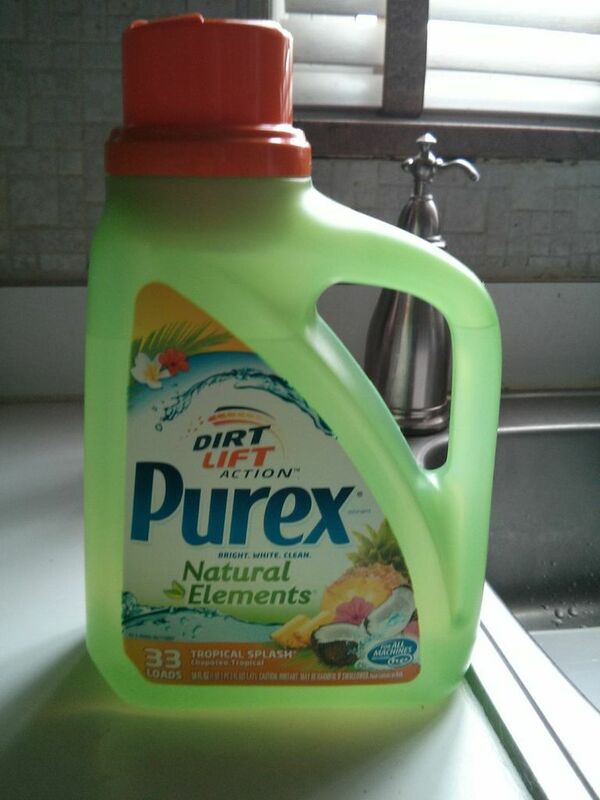 And now Purex has come out with a brand new laundry product called Purex Natural Elements Tropical Splash detergent. This new product in the Purex Natural Elements line is advertised to take your nose on a "tropical vacation" with scents of exotic fruits like pineapple and coconut. 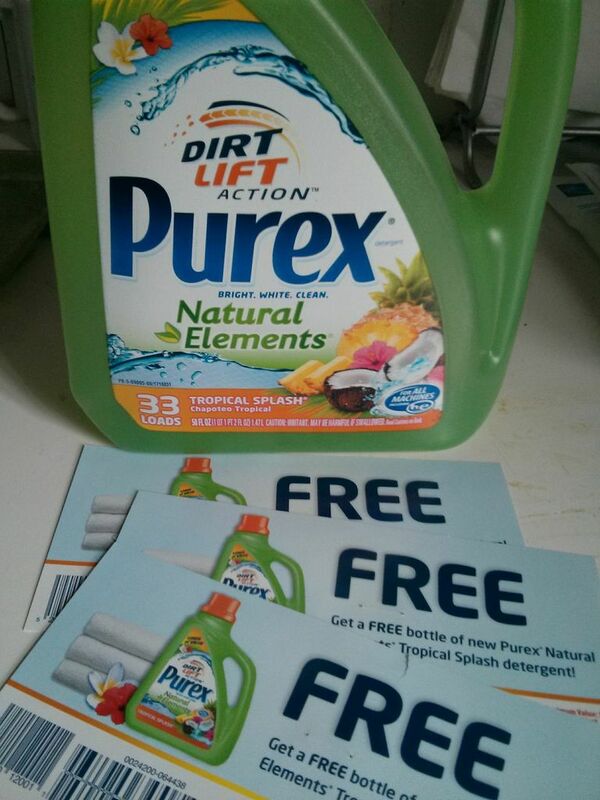 So you get all the same hypoallergenic, dye-free formula for sensitive skin of the regular Purex Natural Elements detergent, but also with the addition of a fresh, nature inspired fragrance. Like all Purex detergents, Purex Natural Elements Tropical Splash detergent is optimized to perform in high efficiency or traditional washing machines. And Purex Natural Elements Tropical Splash leaves your clothes smelling fresh for half the price of the leading brand - who does not like to save money? Purex Natural Elements Tropical Splash Detergent is available in the liquid detergent aisle at your local Walmart, Target, Kroger and other retailers. 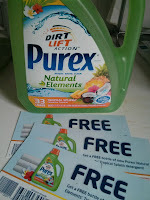 One FREEISMYLIFE reader will win Coupons for three (3) FREE bottles of Purex Natural Elements Tropical Splash Detergent. 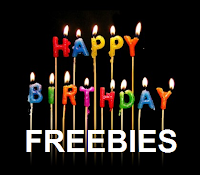 Each coupon has a max value of $6, giving this giveaway a total value of $18 - HOLLA to the FREE!!! 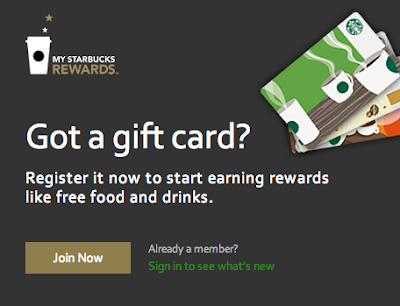 - The contest ends on Friday, April 5, 2013 at 11:59 am EST. 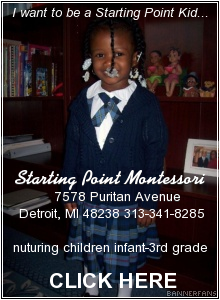 - Prize will be fulfilled to the winner via US mail. 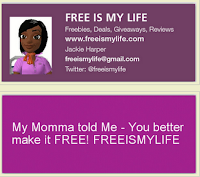 FREEISMYLIFE is not responsible for lost or stolen mail. 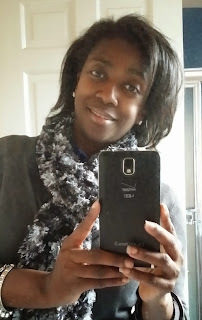 - You can get 1 extra giveaway entry for tweeting the following message on Twitter "I entered to WIN 3 FREE bottles of @Purex Tropical Splash Detergent on @freeismylife http://ow.ly/joP85 "
Random.org has spoken!!! Out of 212 entries, Random.org has picked #97. 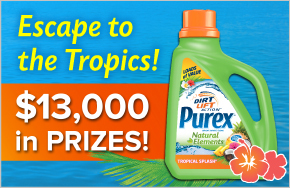 Congratulations to the winner of the 3 FREE Product Coupons for Purex Natural Elements Tropical Splash Detergent - Laurie G. of Novi, MI!!! Disclosure: I received a complementary bottle of Purex Natural Elements Tropical Splash detergent to facilitate this review. 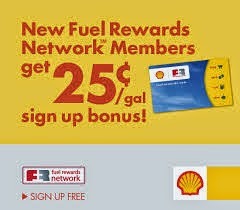 Purex is sponsoring this giveaway. All opinions are my own.